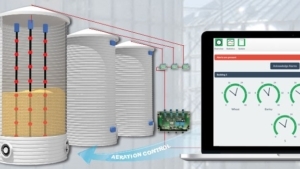 Tornum IDC is a software-based control system monitoring and controlling the outgoing moisture content in continuous dryers, consisting of moisture sensors and a control unit. 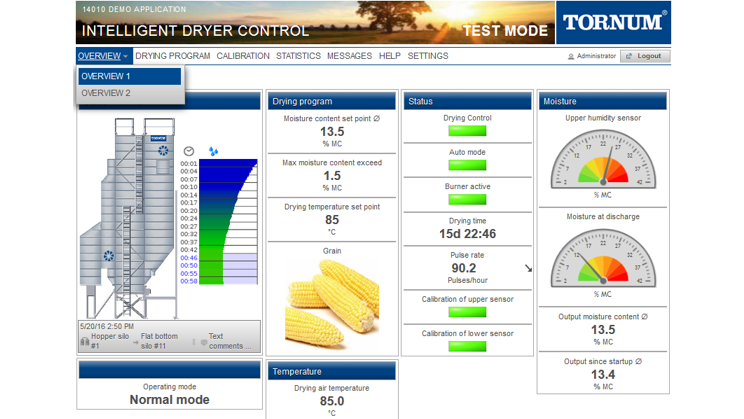 Via the user-friendly interface, you have full control over the entire drying process on your PC or tablet. One sensor is positioned in one of the upper drying sections, measuring the incoming moisture. The second sensor is placed in the cooling zone, close to the dryer outlet. 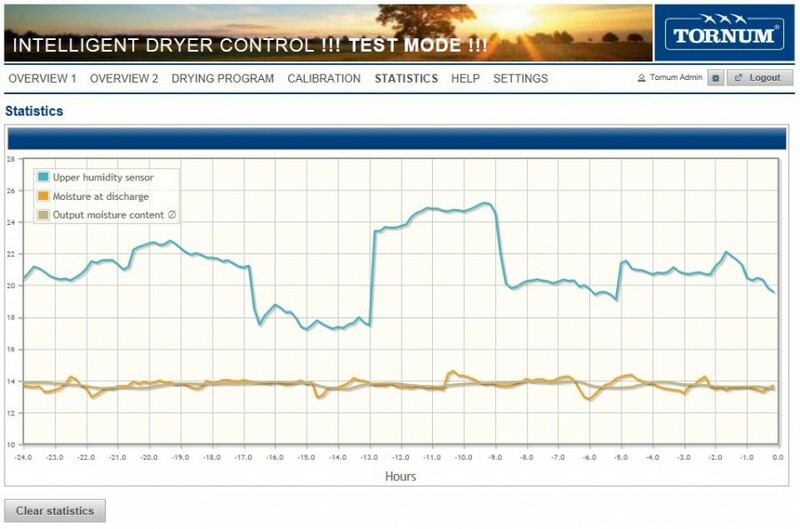 Using information about incoming and outgoing moisture content, the control unit sets the speed of the dryer discharge to obtain the desired moisture content out of the dryer – regardless of ambient conditions. 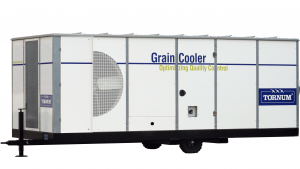 Even more importantly, with Tornum IDC you take the guesswork out of the drying process and minimize the risk of overdrying your grain just to be on the safe side – an expensive practice that can now be effectively eliminated. 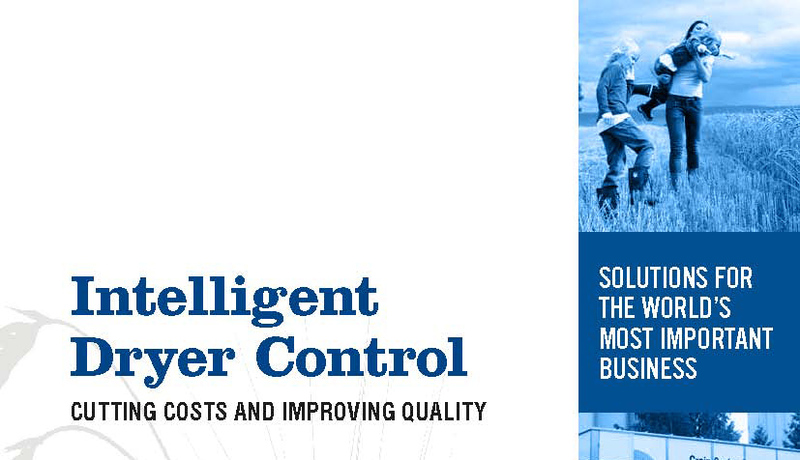 Fewer manhours needed to monitor the drying process lower the costs even further. 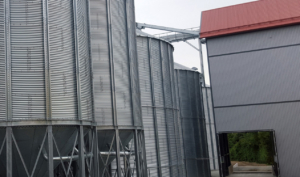 Drying grain with Tornum IDC also means you reach the desired moisture levels every time, maximizing obtainable product quality, weight and prices.